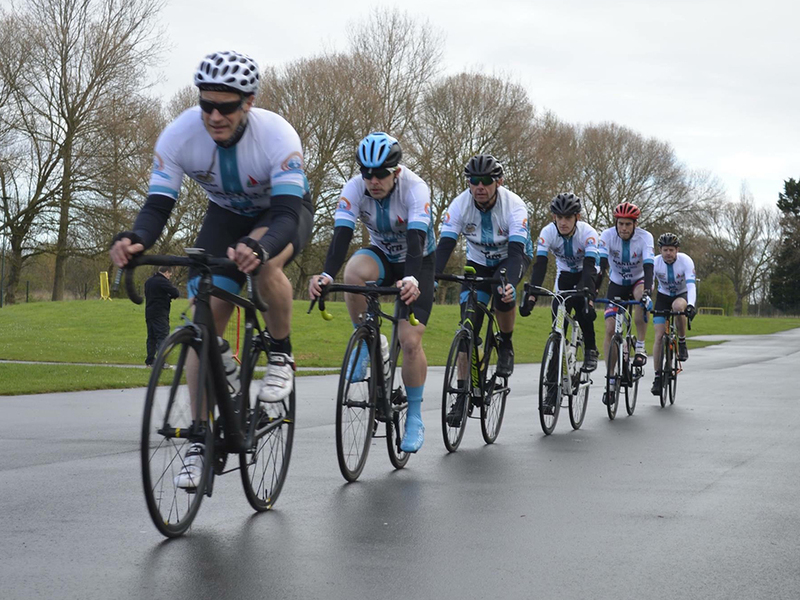 ​All cyclists from any teams are welcome to come and join us at our race training evenings. The cycle circuit at Middlesbrough Sports Village provides a floodlit, traffic free environment for us to practice riding in competitive groups in a safe controlled environment. We work through a range of drills each week to improve fitness, bike handling, group riding and general confidence on the circuit. Sessions will generally conclude with a competitive simulated race.